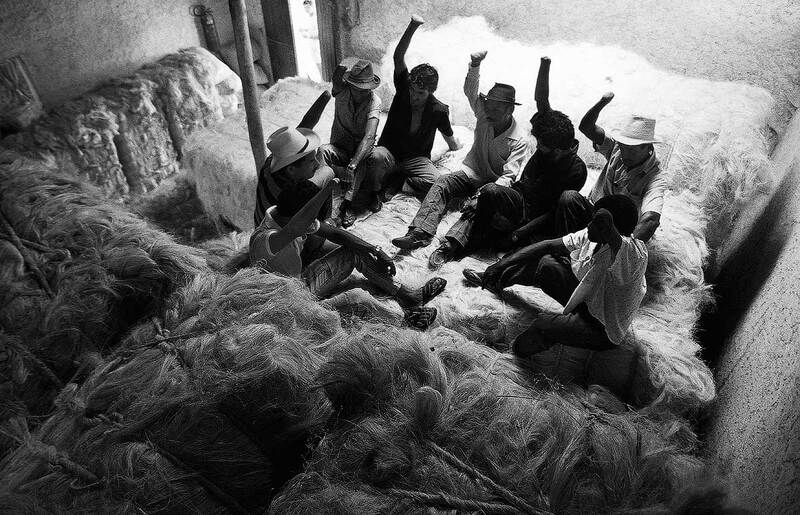 Mutilated sisal thread workers at Union meeting, Bahia State, Brazil. On assignment for "Imagens da Terra" Documentary & Photojournalism Agency. Sisal ( Agave sisalana ) is a species of Agave native to southern Mexico but widely cultivated and naturalized in many other countries. It yields a stiff fibre traditionally used for rope and twine, and has many other uses, including paper, cloth, footwear, hats, bags, carpets, and dartboards.